When my health first started to really deteriorate in the summer of 2012 I found myself putting on a "fighting spirit" each day. I was convinced that (just like I had in the past) I would face this "unknown illness giant" with courage and and beat it just like I had with another illness in the past. In my mind I had already lived through a season of being told before by doctors that "there was no hope" and they had been proved wrong so why wouldn't this time be any different?I decided to push tears aside, buck up and fight with all that was in me. I had absolutely no idea what the journey ahead would look like. Fast forward to 48 months later, over 35,000 miles of travel (to meet with close to 400 doctors and receive a variety of different treatments), countless invasive testing (that were not pleasant), 16 hospital stays, 1012 doctors visits (1014 if you count the ones that are going to happen today and tomorrow), hundreds of IV's, 17 claustrophobic (which I never knew I was) hard covered hyberbaric oxygen treatments, 34 soft-covered hyberbaric oxygen treatments, 200 detox baths later, venturing into the land of "health fears", receiving several life-altering diagnosis' (including IBD, Sojourn's, Severe Anemia, Advanced Late -Stage Lyme , and finally learning I had Cancer -when I was thousands and thousands of miles away from my family), being told by several major and very well-known hospitals that they "just were not sure what to do with the complexity of my case", becoming bed-ridden and housebound at 33 years old, leaving a job that I loved to pursue a dream (going for additional graduate work) and having both things shattered (and being told by twenty-three different doctors: "we just don't see you ever being well enough to hold a full-time job"), having several friends walk away in the midst of this difficult journey, receiving precious gifts that I could never have afforded, being told on at least six different occasions that "if I just had more faith I would be better", dealing with the emotional aspects of being seriously ill, trying hundreds of different supplements, vitamins, and essential oils, being able to walk again (on my own), being blown away by generosity of friends and strangers in this journey, surviving several severe anaphylactic reactions to different medicines and finally sometimes admitting that the "courage" to continue each day and hour wanes and instead I just take "one minute at a time". 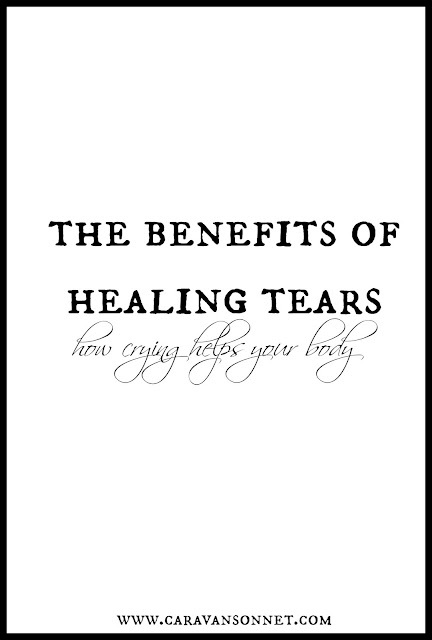 (1) Tears reduce stress hormones. (2) A biochemist and"tear expert" - Dr. William Frey (who works in Minneapolis at the Ramsey Medical Center) found that: "emotional tears shed hormones and other toxins which accumulate during stress". (3) Crying stimulates the production of endorphins. (4) (this one shocked me! )- Tears actually kill bacteria! I know I couldn't believe it either! I was shocked but I learned that tears contain a fluid called "lysozyme" which helps kill 90 to 95% of all bacteria. In JUST FIVE to TEN minutes!! WOW! (5) Stephen Sideroff, who is a clinical psychologist at UCLA (and who is also the director of the Raoul Wallenberg Institute of Ethics) says that "crying activates the body in a healthy way". (6) Crying lowers your manganese levels. So today if you need to take a few moments to cry- do so! Help your body in these ways above by releasing some of the pent up tears. 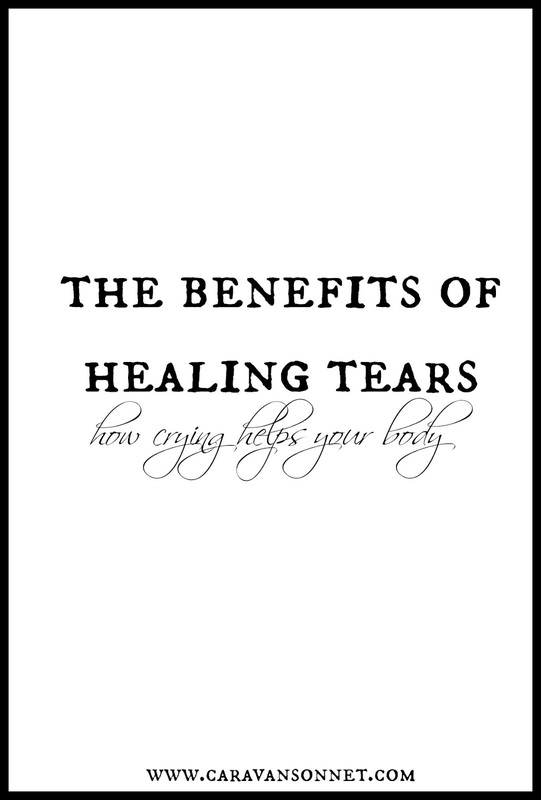 Do you think that there is benefit to healing tears? I would love to hear your thoughts! Have a wonderful Thursday y'all! Kills bacteria - who knew!!!! Very intersting! I know! Absolutely crazy!! :) I am thankful to know this- as I had a good cry today!